Confession time: I'm a little addicted to highlighters. I won't go full-face-crazy with highlighter (well, maybe every so often). But, I do have an arsenal of highlighters and love to use 'em. After reading and watching a lot of mixed reviews and hype about Anastasia Beverly Hills' Glow Kit, I finally caved and got one for myself. OMG... why didn't I buy this earlier!?!? This is the best highlighter kit I've used! Each color looks stunning on my skin tone and glides on so smoothly! The color payoff is amazing; just one swipe of my finger gives a vibrant streak on my forearm (pic below)... a little goes a long way with a fan brush. If you're into highlighters, you'll want this kit asap!! 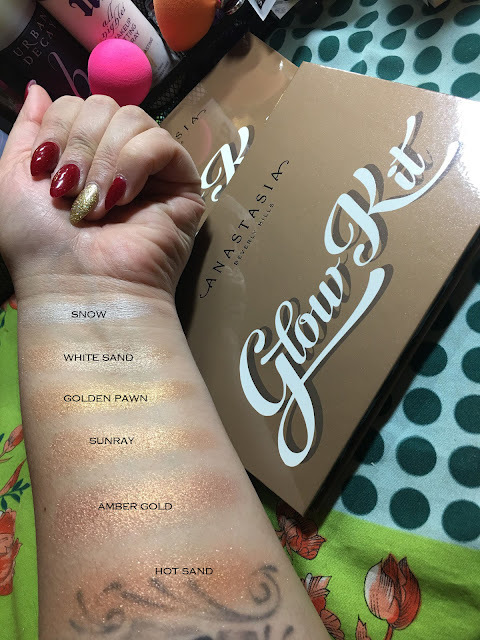 I hope you enjoyed my review of Anastasia Beverly Hills' Glow Kit. 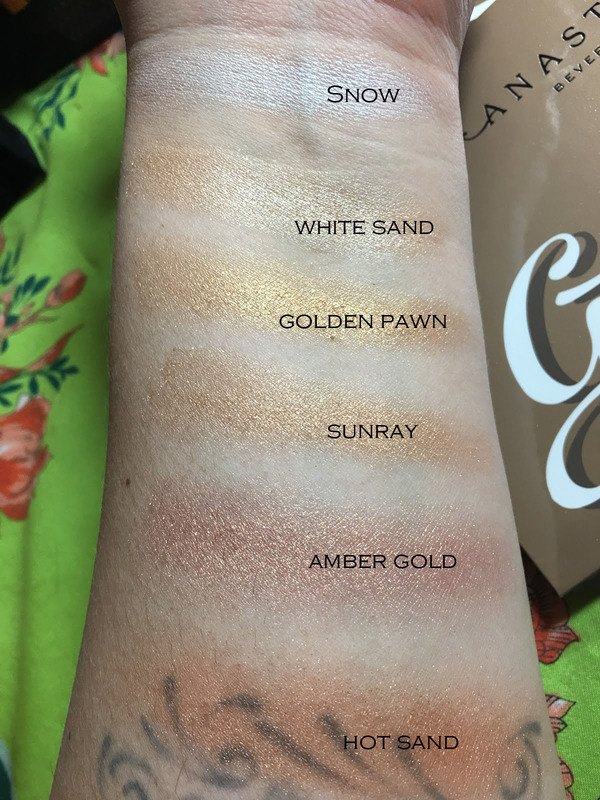 It really is an amazing highlighter kit! Have you used this kit before? What do you think about it? ?